The designer hosted three young graduates in a yearlong residency with an emphasis on social and environmental responsibility. Lucy Jones, Eileen Fisher, Teslin Doud, and Carmen Gama stand together outside the Eileen Fisher Remade Pop-up store. 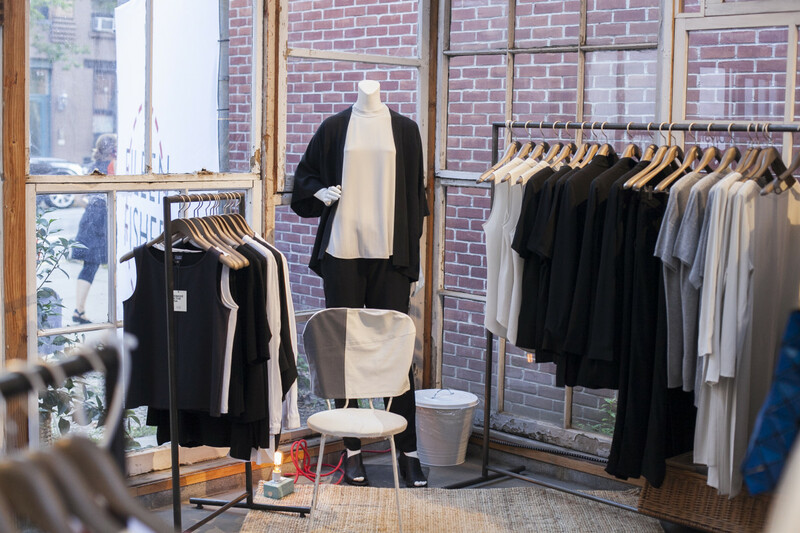 Shop the Eileen Fisher Remade Pop-up in Brooklyn at 47 Bergen St. on July 23, 24, 29 and 30th! 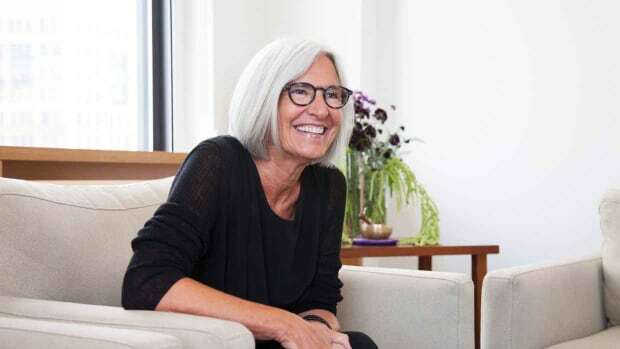 Eileen Fisher has been prioritizing sustainability in her eponymous clothing line since before it was an industry buzzword. And for her latest project towards her goal of becoming "100 percent sustainable" by 2020, she partnered with the CFDA to create the Social Innovators Project: a yearlong residency that gave three recent fashion school graduates immersive access to mentorship, specialized skills, resources and institutional knowledge at Eileen Fisher. 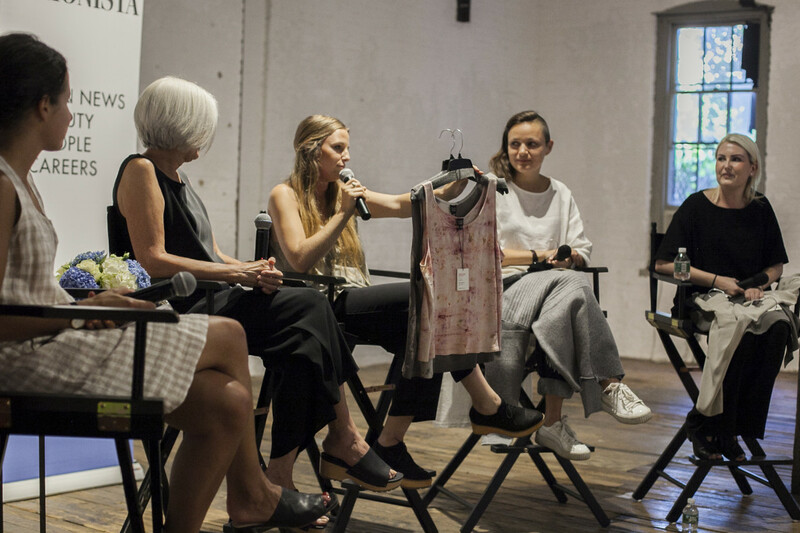 "We want to be a company that&apos;s really fit for the future in a way that doesn&apos;t add to the current mess and can even reverse it," Fisher explained during a panel discussion on Thursday moderated by Fashionista&apos;s Dhani Mau. "We hope to keep sharing what we know and getting others on board to make the fashion industry an industry we can be proud of." 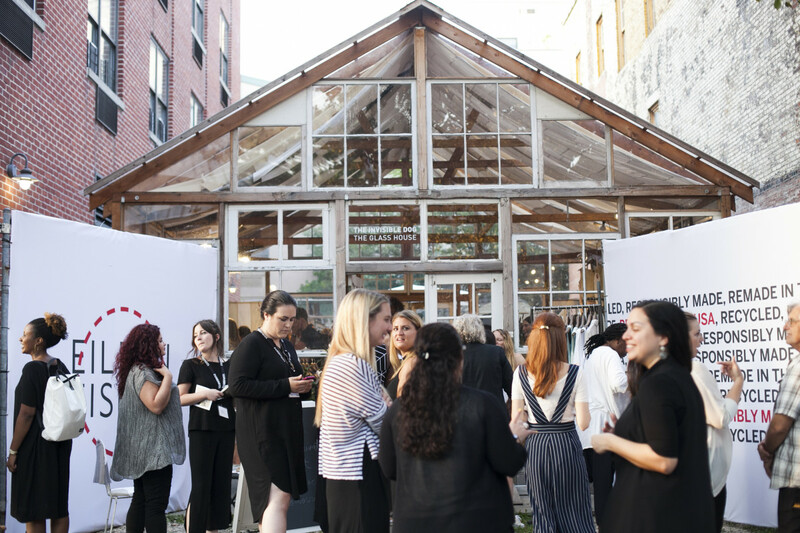 In that spirit, three Parsons students were selected for the Eileen Fisher Social Innovator Award based on the emphasis they placed on sustainability in their own work. 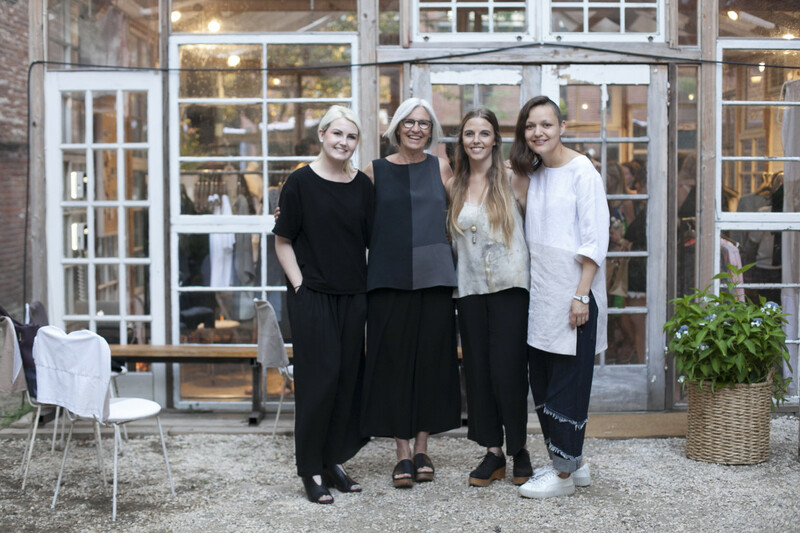 Teslin Doud, Carmen Gama and Lucy Jones spent the past seven months rotating through different departments at Eileen Fisher, from design and visuals to sales and marketing. "We got a 360 view of what the company is really about, and learned things we could never have learned in school," Jones said of the experience. Dhani Mau, Eileen Fisher, Teslin Doud, Carmen Gama and Lucy Jones. The three graduates weren&apos;t just there to learn, however. 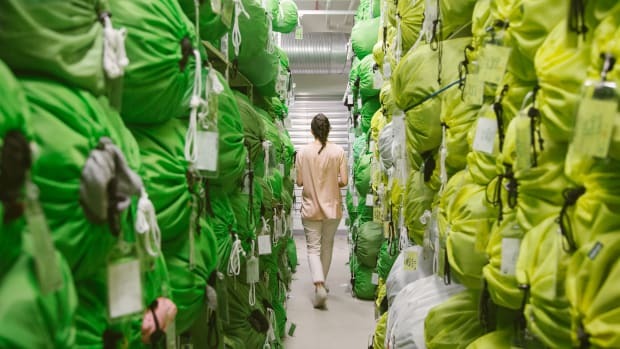 They were also there to help solve a design problem: what should the brand do with the hundreds of thousands of damaged garments it has collected through its Green Eileen clothing recycling project? "Seeing the mounds of clothes was overwhelming at first," Jones said. "Since 2009, when the Green Eileen initiative started, there have been approximately 600,000 garments brought back." Though the task may have seemed daunting, Doud, Gama and Jones collaborated to reimagine the used pieces into new garments in keeping with the Eileen Fisher aesthetic. As the three of them explained, producing the resulting collection — dubbed Remade in the USA — utilized three main techniques: natural dyeing, felting and resewing. "A lot of the silk that comes back through Green Eileen is in great condition, except it has a coffee stain or a pen mark," said Doud. 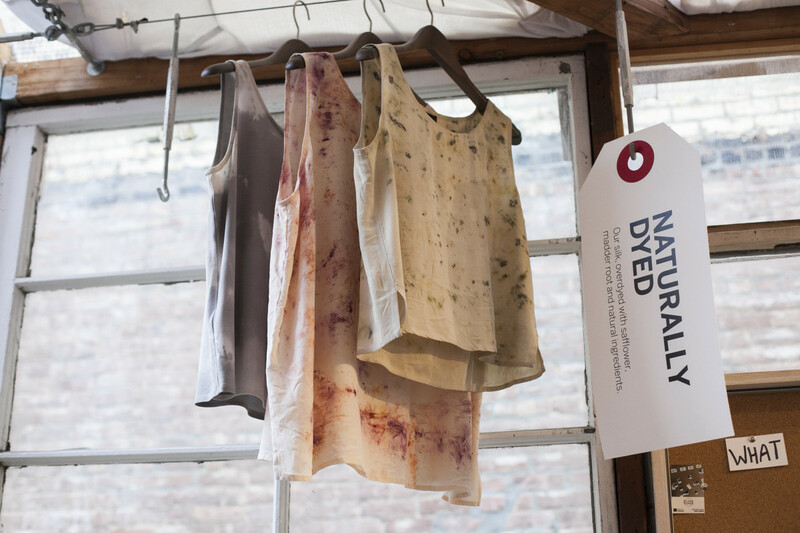 As the resident natural dye expert, she experimented with dyes made from natural pigments like eucalyptus for the project. "Instead of cutting up the good material, we decided to over-dye it in these patterns that camouflage the stains and give it new life," she explained. Felting uses thousands of barbed needles to tangle the fibers of a knit into a denser material. It was used on the elegant patchwork sweaters and kimono coats in the collection. "We had a lot of sweaters coming back that are completely shrunken, so we cut them in squares and felted them together. The result is a more artisanal, one-of-a-kind item," said Gama. Lastly, the trio used resewing to transform old Eileen Fisher garments into brand new ones, like sewing pant legs together to make a tunic. "Because the trousers only have one seam, when we opened it up we could get a lot of fabric out of the width of the trouser leg," Jones explained. "Once we had that down, we knew we had some sort of production that could be replicable." The collection debuted at a pop-up shop at the Invisible Dog Art Center in Brooklyn&apos;s Cobble Hill neighborhood, which attendees of the panel (located next door) got an early chance to shop. And if their enthusiasm was any indication, the results of this project are going to be well-received by the public. Though Fisher admitted that scaling these methods of upcycling would be challenging, she seemed hopeful about the new avenues the project helped open up for the future. "When you have a problem to solve, that&apos;s where some really juicy creative stuff starts to happen," Fisher said. "It&apos;s been so exciting to see what&apos;s come out of that and the possibilities of what may continue to happen." Fisher and the three residents all admitted that the word "sustainable" has become watered down, and doesn&apos;t mean the same thing to everyone. But the ambiguity of the definition hasn&apos;t deterred them from being committed to making responsible choices in how they think about fashion. "I think part of sustainability is doing no harm," Fisher posited. "I dream—and believe it&apos;s possible—to use the fashion industry, which we know is one of the worst polluters in the world, to actually regenerate the planet. There are technologies that clean the water when they dye clothes. There are ways to do farming that actually draw carbon down out of the atmosphere. We don&apos;t do that yet, but we are working toward these kinds of things," she said, referencing the brand&apos;s Vision 2020 plan for sustainability. As for the Social Innovators themselves, they&apos;ve emerged from the program with a stronger-than-ever commitment to pursuing sustainability in their own fashion careers. So what&apos;s next for Doud, Gama and Jones? "The jury&apos;s still out on all of our next moves," Doud says, "but I know that none of us can go in any other direction after this experience. 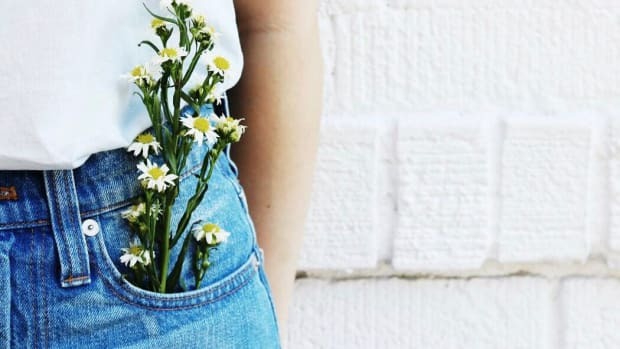 The only way we can continue to even have a fashion industry in the future is for it to be sustainable and have a positive impact on the world. We all have a renewed passion for that." 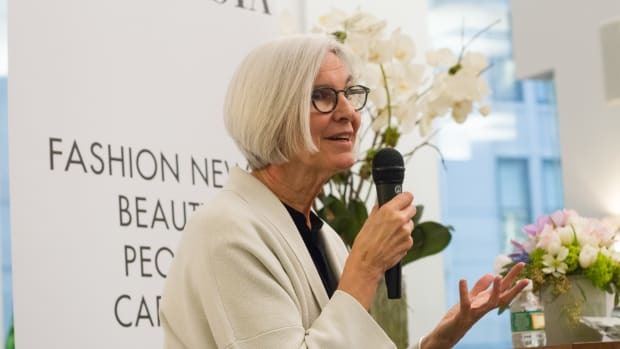 Don&apos;t forget to shop the Eileen Fisher Remade Pop-up in Brooklyn at 47 Bergen St. on July 23, 24, 29 and 30th from 12 p.m. to 7 p.m.
At 65 and with three-plus decades of fashion experience, the designer (and newly named activist) is more involved with her namesake label than ever. Join us in Brooklyn on July 21! An inside look at the brand's "Tiny Factory," where a meticulous sorting and record-keeping process transforms old clothes into new ones on a large scale.